Again, Briccio Santos moors us into his “manifold ministrations,” as poet Krip Yuson describes his myriad artistic practice. 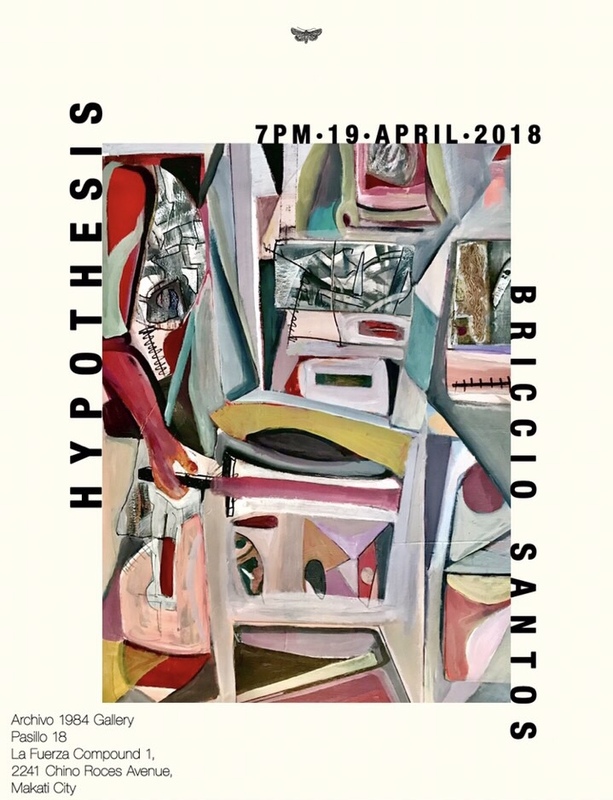 In his 2nd solo show at Archivo, Santos presents Hypothesis, a selection of new and recently shown works that include paintings and photographs. Santos’ practice as filmmaker, painter, photographer has given his works a keenness to the nuance of, in his paintings, the fragment or the fractal, and in his photographs, scenography or mise en scène. In this selection, Santos showcases his paintings, where figures are shown as they form and where textures emerge and come to life, and his photographs where we see characters captured both in the literal (held captive and behind bars) and figurative (captured in a photograph). In this exhibit, Santos’ works speak to contemporary predicaments, or true to the exhibition’s title, elaborate hypotheses on the future of life or of being alive in the current moment. Santos’ works show a fondness for images already familiar to him. He likes to return to images that have captivated him in past work. He returns to a range of figures that he then continually refines, until they are in such a state that the figure that emerges is a figure beyond the imagination of its initial instance. Santos intimates a poetics akin to making a series of studies: these renderings portray a mind constantly processing, calibrating, a mind alert to the barest shift or tilt of sightline, keen on slight variations. It is this tendency that makes Santos’ choice of technique (cubist) and technology (the photograph) most apt. Briccio Santos, born in Manila, received most of his education and artistic training abroad, principally in Europe and the United States. His first painting exhibition was held in 1978 in Manila. He continued to exhibit around Manila until the late ‘90s, whenSantos moved to Paris. Santos lived in Paris for some years, during which time he exhibited at Galerie Duroc and Accatone. Santos’ work has been frequently exhibited in recent years. His most recent exhibitions have included: the sculptural installation “Heritage Tunnel,” which exhibited at Singapore Art Museum in 2010; “Viral Series,” a painting and photography exhibition held at White Wall Gallery in 2011; and “Numbers Revisited,” a photography, painting, and installation exhibition held at Manila Contemporary in the same year. “Mutations,” a solo show of paintings was held at Archivo in 2015. In 2017, he was awarded the honor of becoming a Chevalier (Knight) in the Légion d’honneur (Legion of Honor), one of the premier distinctions conferred to individuals by the government of France, for his work with the Film Development Council of the Philippines (FDCP) in developing and promoting Philippine cultural identity through cinema, particularly in the preservation of Philippine film heritage through the creation of the National Film Archives.